I don't feel like I need to write a summary for this novel, because you either have read this or are not going to. Nick Carraway was an interesting character, not a great writer though. His story jumped around a lot and sometimes it was confusing about how these random events fit together. 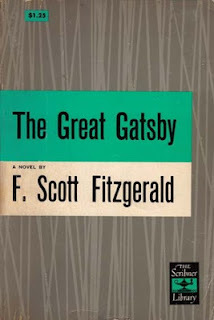 (I suppose this is really Fitzgerald's doing, but I feel they could be one in the same.) Beginning of chapter four lists a bunch of names for quite a few too many pages. I understand that it's supposed to show all the various types that attended Gatsby's parties, but it just seemed dreadfully boring to me. They weren't even really people, so it didn't really seem all that important. I did love picture Gatsby's parties and his huge house. Gatsby and Nick were such real people. 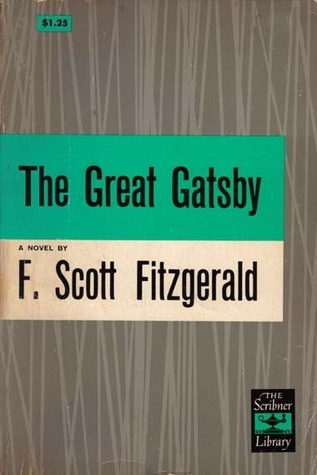 Even though Gatsby was very mysterious about his past, his present was endearing. You could hear the emotion in his words, even if he was cool. There was plenty to like about this novel and I liked all those bits. There were a few slow parts though and a few parts I just didn't understand. Maybe a second read through will make things more coherent. Luckily this is a short novel, so it's one that you can stop and re-read parts of without taking a very long time to finish it. It was an enjoyable read for the most part. Gatsby. He was a unique fella and so in love. So crazily, stupidly in love. I feel so awful for Gatsby. He tried so hard. He felt so much. In the end things don't always work out for people who may deserve it, even when the ungrateful hordes dance in the sun. That's what I took away from this novel. Is rich people get richer, while the poor get poorer. It doesn't matter if it's money of life. There are always grateful people and ungrateful people. Dreamers and those content to have life always be the same. We need those dreamers though, otherwise we wouldn't have any inventions and still just be cavemen. "In my younger and more vulnerable years my father gave me some advice that I've been turning over in my mind since."